Ovarian cancer survivor Jennifer Teh Yin Li shares her story on how she beat cancer and ways she coped with chemotherapy. aims to spread awareness about cancer and be a listening ear to those going through chemotherapy. When Teh Yin Li (fondly known as Jennifer) was diagnosed with ovarian cancer 3 years ago, she thought her life was over. “My first thought was - I was going to die (from cancer),” she recalled. Since then, Jennifer has taken on a positive change in perspective and learnt to fully embrace her fight against cancer. Jennifer first experienced signs of ovarian cancer - sudden weight gain, nausea and gassiness in the body in early 2015, at 28 years old. She had dismissed these signs at first, thinking that they were due to a lack of exercise and believed that these would soon go away. It was only when she felt a sharp pain in her lower abdomen, so painful that she couldn’t stand, that she knew she had to do something about it. SGH doctors’ scan revealed a basket ball-sized mass weighing 4.8KG on her ovary. She was diagnosed with stage 3 ovarian cancer. 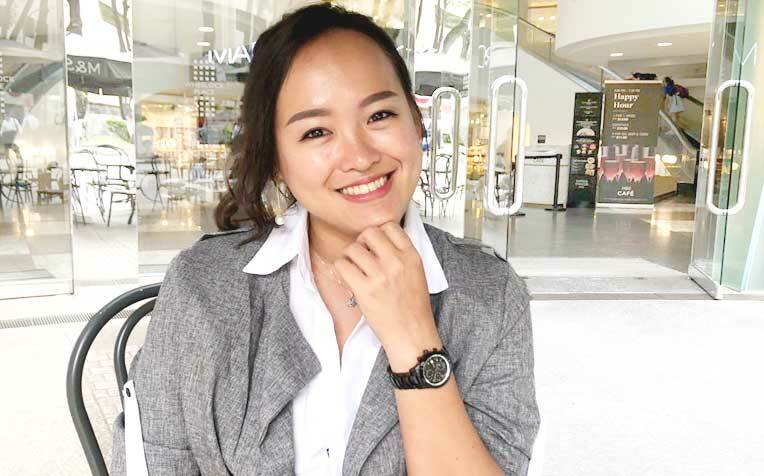 In disbelief and afraid that she had been misdiagnosed, she sought out a second opinion in her home country; Malaysia where she had her surgery and chemotherapy treatments. Jennifer underwent an 8-hour long surgery to remove the mass on her ovary. Three weeks after surgery, she started on 4 cycles of chemotherapy, with each cycle lasting 10 days. The treatment regimen required her to be on 3 types of drugs, via an IV line for 24 hours each time. It was a difficult period – she had lost all her hair from the treatments, her immune system was low, but she kept her spirits up with the support and encouragement from her family, friends, and social network. Following the success of her cancer treatments, Jennifer started a Facebook page “Jenn’s Life After Cancer #spreadlovecreatehope” to document her journey with ovarian cancer and was determined to be a listening ear to others in the same boat. “This platform was for me to be a listener for people, or even educate people to have the right knowledge of cancer. The thing is, most people are reserved about their diagnosis. They are afraid of being discriminated,” said Jennifer. “The discrimination faced by the cancer community is undeniable. I’ve also encountered employers who discriminate against cancer patients,” Jennifer added. Today, Jennifer works as a full-time Marketing Manager. She prides herself on being an outdoorsy person, an avid diver and a volunteer for cancer and other causes. She adds that the major change in her life post-cancer was dedicating more time to her family and loved ones. “I would bring my family on overseas trips, and make sure to spend more time with them,” she says. Accept help from cancer support groups: Look for help, talk to people who have similar experiences, accept cancer as it and be truly open about it with others. Be positive: There’s no magic formula to surviving cancer, but having a positive mindset helps. Jennifer distracts herself from negative thoughts by setting realistic, short-term goals. She believes that focusing on short-term goals helps keep her positive. Learn new things: During the course of her treatment, Jennifer noticed a change in her taste buds and this propelled her to pick up cooking. These days, she enjoys honing her cooking skills by experimenting on a variety of dishes.